Bruce Highway widening works between Bajool to Midgee are set to kick off near Rockhampton with WBHO Infrastructure announced as the winning tender. 9.5km of highway reconstruction on the Bruce Highway between Bajool to Midgee, south of Rockhampton are set to roll out. It was announced today that the $32 million construction contract has been awarded to WBHO Infrastructure. Typical roadworks plant that will be needed for this job includes graders, water carts, truck and dogs, rollers and assorted excavators are expected to be utilised through the project region. The project is one of four spruce-ups for the Bruce Highway as part of the Caboolture to St Lawrence pavement widening packages – worth $46.7 million. The investment will rebuild rough, potholed and generally flogged out sections of highway and upgrade intersections. Anyone who has driven on these sections of the Bruce Highway would appreciate that the renovation is long overdue. Some sections are so dodgy that even Linfox truckies regularly spill their Ice Break coffees all over their blue KingGee short shorts. Meanwhile, their grey-nomad-living-in-a-caravan passenger has to grab the steering wheel with both arthritic hands to handle the potholes and shoulder washouts. $5.2 million for safety works and an intersection upgrade at Atkinson Road, Raspberry Creek Road and Kooltrandra Road north of Rockhampton. $2.8 million for safety and intersection upgrades at South Ulam Road (Bajool) and Gentle Annie Road (Raglan). $6.7 million for widening, reconstruction and intersection upgrades from Miriam Vale to Bororen. The works are funded by the Australian Government and the Queensland Government based on an 80:20 basis. The upgrades are a warm welcome in Queensland. In early 2016 the Bruce Highway made it to the top of the state's most dangerous roads list by RACQ's Unroadworthy Roads Survey, based on the number of complaints by Queenslanders. The Australian Government is redoubling its efforts to reduce road trauma by investing $6.7 billion in upgrades along the Bruce Highway between 2013-14 and 2022-23. 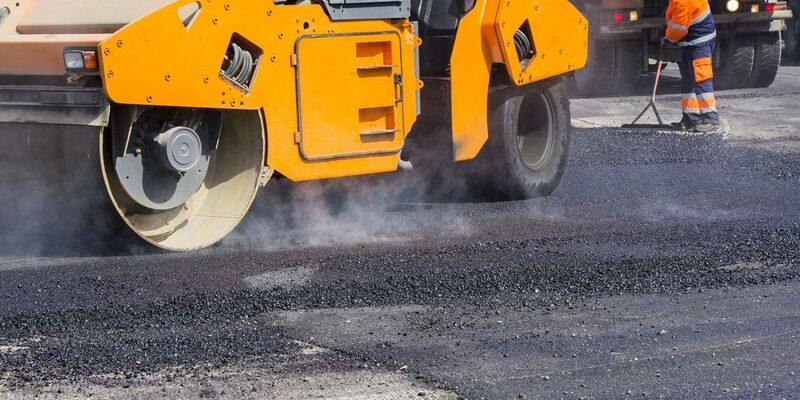 Nobody likes fixing a busted road more than a plant hire company and these projects are expected to breathe some life back into the local plant hire businesses. Let's hope the government keep their promises and continue to spruce up the Bruce over the coming years! Wanna get your machines out on roadworks jobs? Create a free company profile here. Click here to search our site full of quality suppliers for your next project. Sources: Australian Government, The State of Queensland (Department of Transport and Main Roads), Roads and Civil Works, Capricornia Newspapers.